How Do You Know If You’re Overweight For Life Insurance or Mortgage Protection? The standard price for life insurance is possible if your BMI is less than 31 and you’re otherwise in perfect health. BMI of 31 to a BMI of 49 (females) and 46 (males), you’ll get cover provided you have no other health issues. The higher your BMI, the higher your premium. A BMI of 31 will pay 50% more, a BMI of 49 may pay three times the normal price. Females with a BMI of over 49 and males with a BMI of over 46 will struggle to get cover. According to a World Health Organization (WHO) report, Ireland has the highest cases of obesity and excess weight in the whole of Europe. So you won’t be surprised to hear the number one health issue we encounter at lion.ie is weight. How to know if you’re overweight for life insurance? The first step is to calculate your Body Mass Index (BMI). This is a screening tool that uses height and weight to estimate body fat. 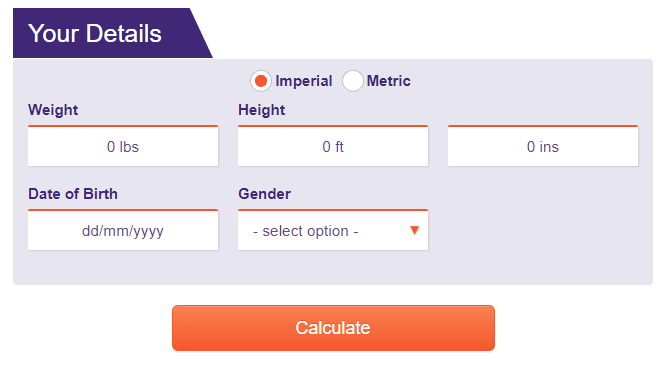 Click on the image below to quickly calculate your BMI. Michael is 40, 6’2 and 20 stone. His mother would call him big-boned, the BMI calculator would put him in the obese category (BMI of 35.9). You might expect the insurer would have a problem with this but surprisingly Michael would get the same price as someone who has a “normal weight”. However if Michael was one year younger, with the same BMI, the life insurance company would increase his premium by 50%. You see overweight young men are the riskiest class for the insurer because of the correlation of obesity with cardiovascular disease – I’m talking heart attacks and strokes. Apart from height, weight and age, the insurer will also looks at some other factors when underwriting an application for someone with weight issues. 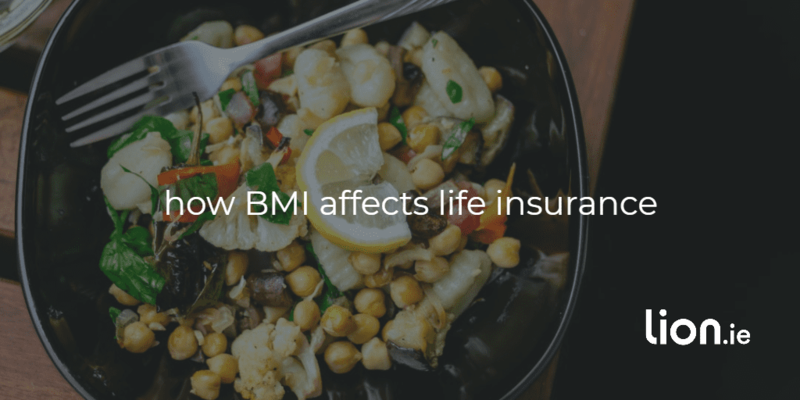 What other factors affect your life insurance if you’re overweight? It’s impossible to give a useful indication of how these associated factors will affect your chances of getting cover but it’s safe to say the more of them you answer yes to, the higher the loading the insurer will add to your premium. What if you’re overweight and need mortgage protection? The same rules apply for mortgage protection insurance as for life insurance. How does being overweight affect getting serious illness cover? The insurers take a stricter approach if you have a high BMI and want to get critical illness cover. If your BMI is over 41, at any age, you will struggle to get income protection or serious illness cover. Michael, aged 40, in our example above wouldn’t face an increase in premium for life cover only. But if he was applying for serious illness cover too, the insurer would increase his premium by 50%. I’m obese, can I get income protection? The insurers underwrite income protection even more strictly so please get in touch before making an application. Does bmi affect mortgage protection? Yes, mortgage protection is a type of life insurance where your amount of cover reduces over time. The same rules apply to mortgage protection as to life insurance. I had a yearly check up back in June with my doctor and everything is in the normal range. They took bloods and checked my cholesterol, heart rate, HDL, LDL, Triglycerides, glucose, sodium, potassium, CO2, chloride, calcium, BUN, Creatine, Alk phos, ALT, AST, Albumin, and total protein. All were within normal levels except for HDL which was 0.1mmol/L under the recommended level of 1.4mmol/L, the doctor saw no reason for concern with this. I also had a Haematology FBC, Haematology BFF, and Thyroid function tests. All came back as normal. The doctor also took blood pressure and heart rate and both were ok.
We managed to get John cover with a loading of +225%. Each insurer takes a different approach to underwriting applications from people with weight issues. 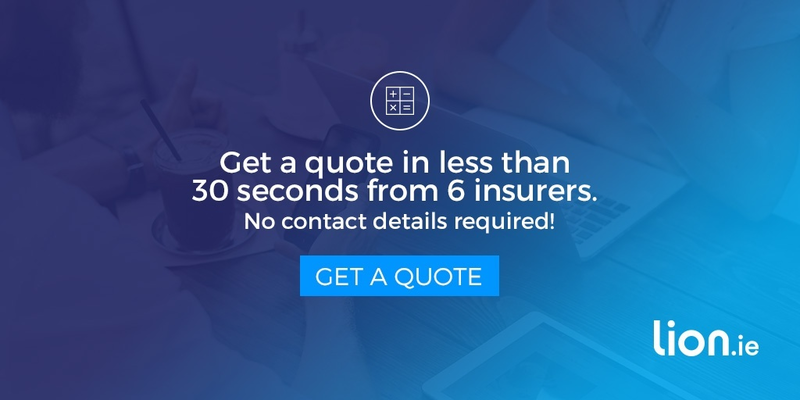 This means one insurer may increase your premium based on your age and BMI but you could get the normal price by applying to a different insurer. That’s where I come in, let’s have a chat and I’ll find you the best insurer based on your BMI. Complete this short BMI questionnaire and I’ll be right back. We know how awful irritable bowel syndrome (IBS) is, being prone to constipation, alternating sometimes with diarrhoea, constantly feeling like a beast has taken up residence in your gut. Arranging mortgage protection or life insurance with irritable bowel syndrome should be a breeze in comparison...if you choose the right insurer. 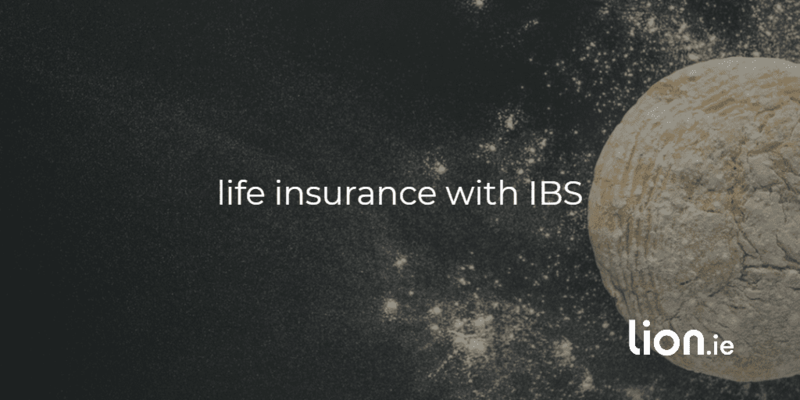 We're Ireland's specialist life insurance advisor which means we know which insurer to approach if you have IBS saving you time, hassle and most importantly money.